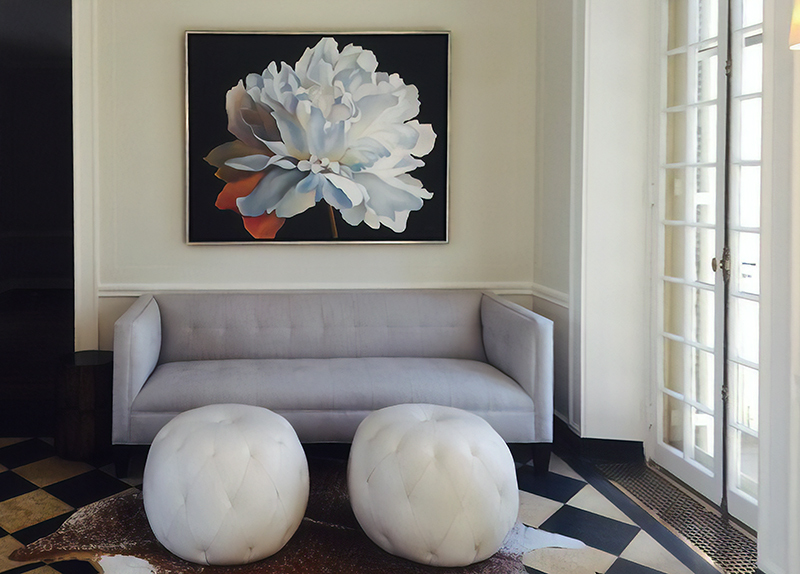 Alice Pritchard’s Double Peony IV gracefully completes the soft, tranquil character of this elegant interior. The gentle lines and subtle color transitions of Pritchard’s pastel whites complement the geometric structure of the sofa below, while the deep background defines the silhouetted details of the delicate flower. Double Peony IV‘s composition subtly reflects the symmetry of this vignette, setting a scene ideal for quiet contemplation. 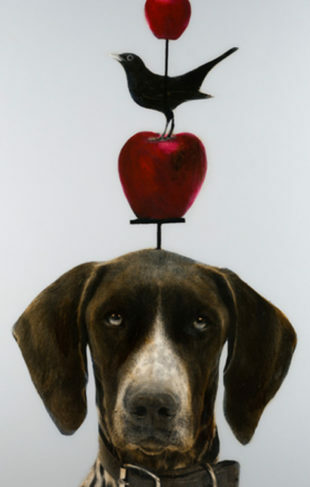 View more of Alice Pritchard’s works at the gallery nearest you, or call your local gallery to schedule an appointment with one of our expert consultants.